Da Nang (VNA) – The number of tourists visiting Da Nang city by sea has increased 30 percent since the beginning of this year. 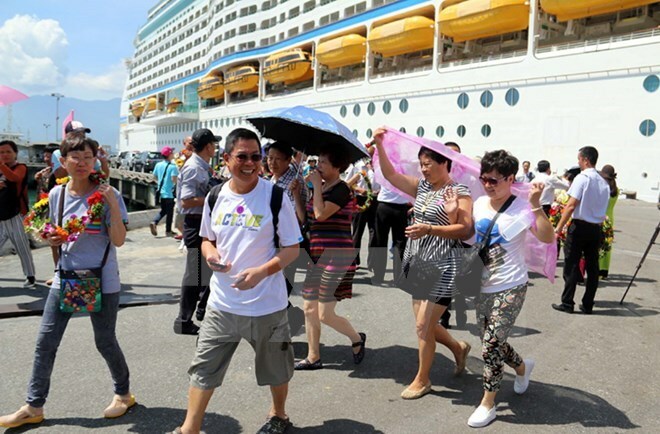 According to the central city’s tourism authorities, the Da Nang port has welcomed 30 ships with nearly 65,000 passengers and crew members. The number of tourists to Da Nang by sea recovered in 2016 following two years of decline. Last year, the city welcomed 70 ships with more than 136,000 tourists and crew members, a 2.6-fold increase from 2015. Da Nang developed new tours and services to better serve tourists like forming a tourism cyclo and improving service quality in the Champ Museum, Ngu Hanh Son, and Hai Van Pass. Da Nang port was upgraded to accommodating big cruise ships as well.